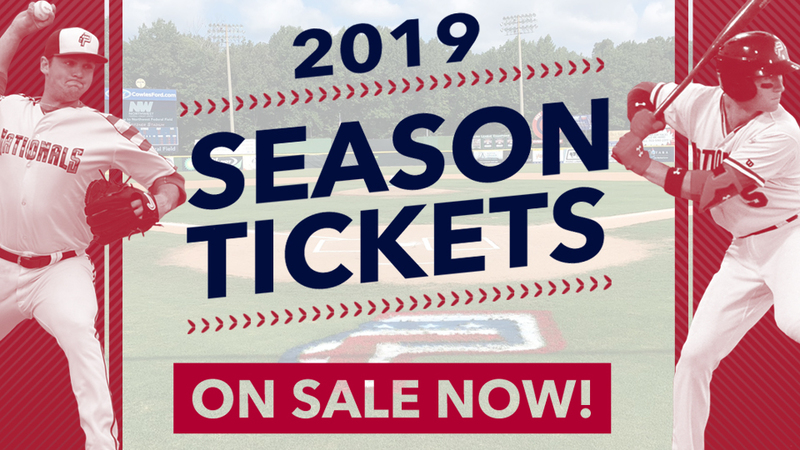 Woodbridge, VA-The Potomac Nationals have turned the corner towards the 2019 season, and full and half-season ticket plans for the 2019 campaign are now available for purchase! Full and half-season ticket plans come with many terrific benefits. Fans with either of these plans will receive the same great seat for each game of the plan during the 2019 P-Nats season. Fans will also be entered into the P-Nats' ticket exchange program. The full-season plan consists of all 70 P-Nats regular season home games. The half-season "Weekender" Plan consists of 35 games (All Friday, Saturday, & Sunday games, Opening Day, and the Fourth of July). The final game of the regular season (8/29/19) is included as a free bonus for a total of 36 games. VIP Parking is FREE for fans with either a full or half-season ticket plan, and all giveaway items are guaranteed for holders of these plans for up to two weeks from the giveaway date. Anyone with a full or half-season P-Nats ticket plan will also receive a Potomac Nationals fitted New Era cap with each plan. Ability to exchange tickets through the P-Nats "Never Waste a Ticket Program"
Payment plans are available for season ticket plans upon request, while all plans must be paid in full by 4/1/19. Corporate season ticket plans are back for the 2019 campaign. Businesses that purchase a full-season ticket plan will have the opportunity to set up a marketing table at a 2019 Potomac Nationals' regular season game on two different occasions, and receive either a ¼ page program ad for the season or a 0:15 second video board ad for five games. Businesses that purchase a half-season ticket plan will have the choice between either two marketing table dates or a ¼ page program ad for the season. Prices for both full and half-season corporate ticket plans are the same as what is listed above.